The Master Locksmiths Association (MLA) - the UK's leading trade body for the locksmithing profession - has revamped its training programme in a bid to promote further education and encourage people to see Locksmithing as a long term career. As of February 2016, the MLA's traditional five day training course will be reserved for the locksmith apprenticeship and a new flexible approach, consisting initially of four individual, one and two day training modules, will be available to trainees. Biometric and radio frequency identification devices firm ZKAccess has partnered with Processing Point to provide a line of biometric fingerprint door locks for small business owners and home office users. Known as the uGuardian range, the new line of biometric fingerprint door locks by Processing Point, includes fingerprint security and DIY installation. uGuardian Indoor Locks include standalone systems, as well as those utilizing Bluetooth technology to open and close doors with smartphone applications. 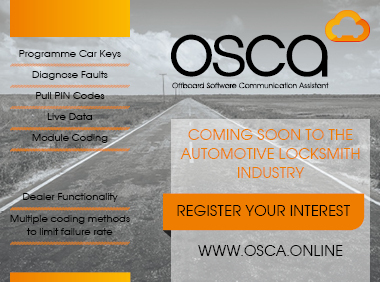 Horseshoe keys, electronic heads, pod car keys, emergency keys; get the answer to your every locksmithing need VAT FREE for a limited time only. 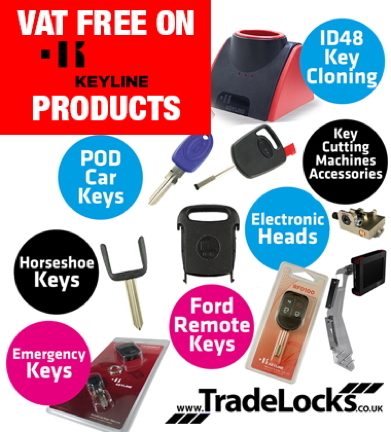 From the very best key cutting machine accessories to ID48 key cloning and top quality auto locksmith equipment - you can have all this and more minus VAT when you choose Keyline at Tradelocks! Running until the 4th of February, just use promotional code KEYLINEVATFREE to get your discount, which can be used on all Keyline products EXCLUDING key cutting machines. It goes without saying that master keys for campus residence halls are valuable, but a set of misplaced master keys at the College of William and Mary has led to a hard lesson learned. Innovative Lock Tools, is made up of two independent lock tool designers who bring to market high quality, new and innovative non destructive lock opening tools, decoders and safe servicing tools. Made up of Geraint Jones, a full time non destructive locksmith and David Kneafsey a full time safe engineer, both will be on stand B1 demonstrating their own innovative lock tools. Not only can you try out the tools for yourself, you can also get help and advice from the very people who designed and made them. If you do not go to shows because 'there is never anything new to see' Innovative lock tools will prove you wrong. Check out their web site for more details of what to expect. 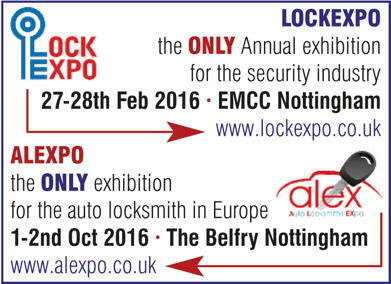 MPL / Locksmiths Tools returns to the Lockexpo once again. We look forward to demonstrating our new products and meeting customers old and new! MPL specialise in supplying specialist uPVC spares and repairs to the trade, all at great prices with next day delivery. Why not give us a try? HomeGUARD - is an ideal letterbox home security product for the protection against anti-social behaviour. Increase security with a lockable letter plate. Large capacity fireproof bag; easy to install. HomeGUARD+Plus - is all of the above but has installed within the bag a heat detection tube (extinguisher). The +Plus version should be installed where there is an extreme threat to life - arson attack. Both products carry SBD accreditIon.